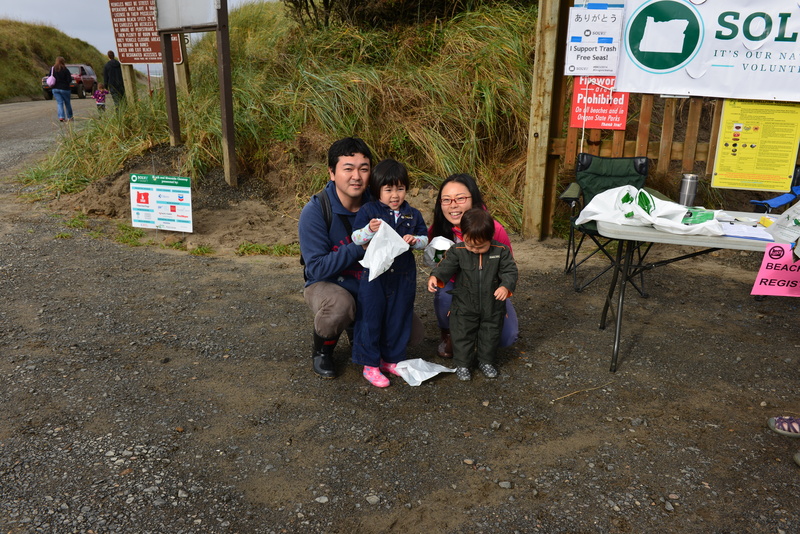 As part of our Camp Host duties, we work different activities throughout the summer. 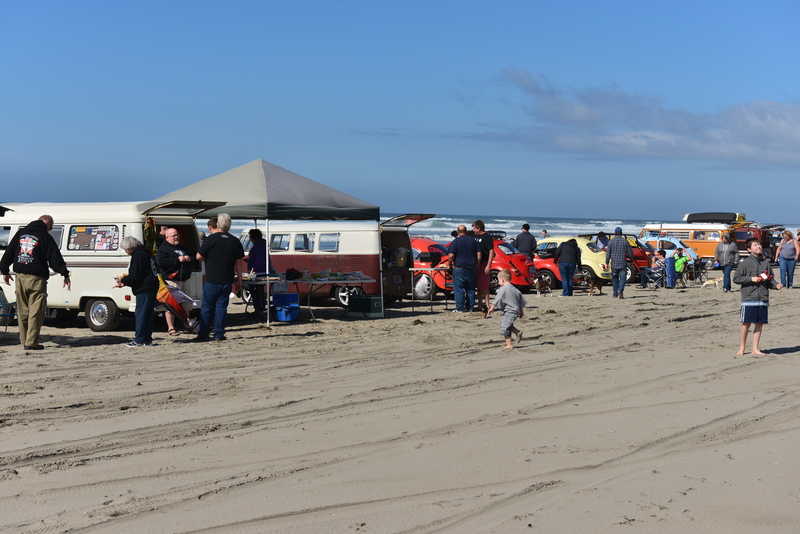 Fourth of July parade, Fish Painting booth and now Beach Cleanup day here in Oregon..
Twice each year, the organization SOVLE gathers volunteers to clean up the State beaches – and the entire coast is comprised of State Beaches. 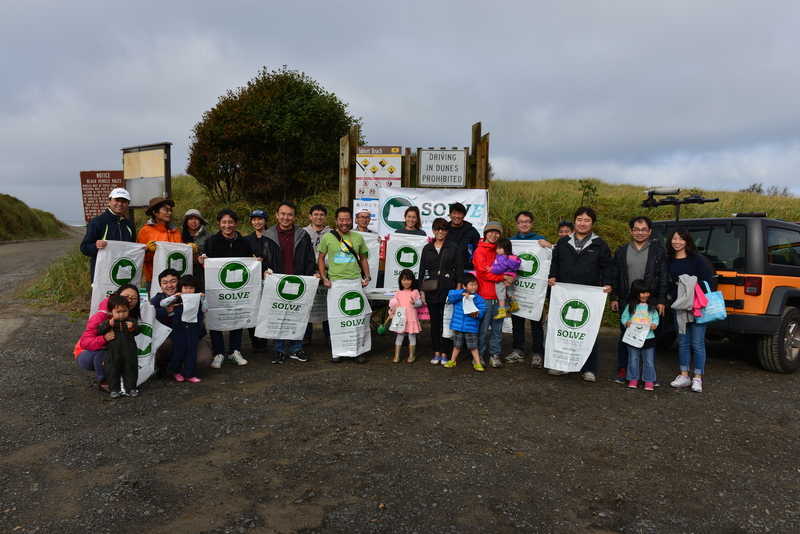 This year, we checked in volunteers at Sunset beach here at the North Coast – who collected garbage and debris from the Coast. 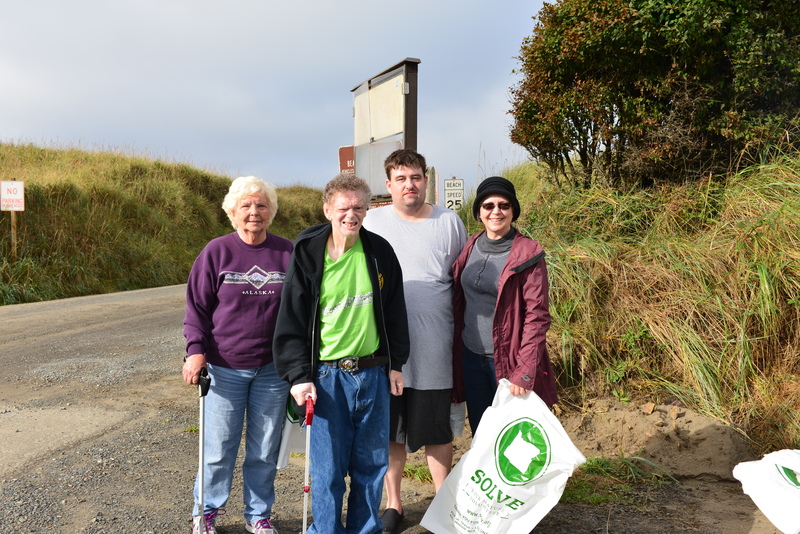 Apparently, the Fall cleanup is easier than the Spring cleanup – as the tide has not washed up as much garbage over the sumer months. 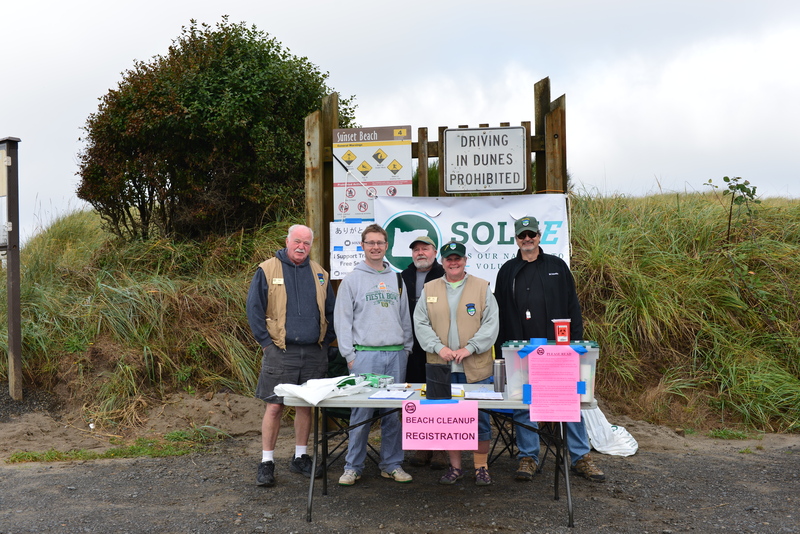 Here are some of the volunteers who worked the cleanup effort. 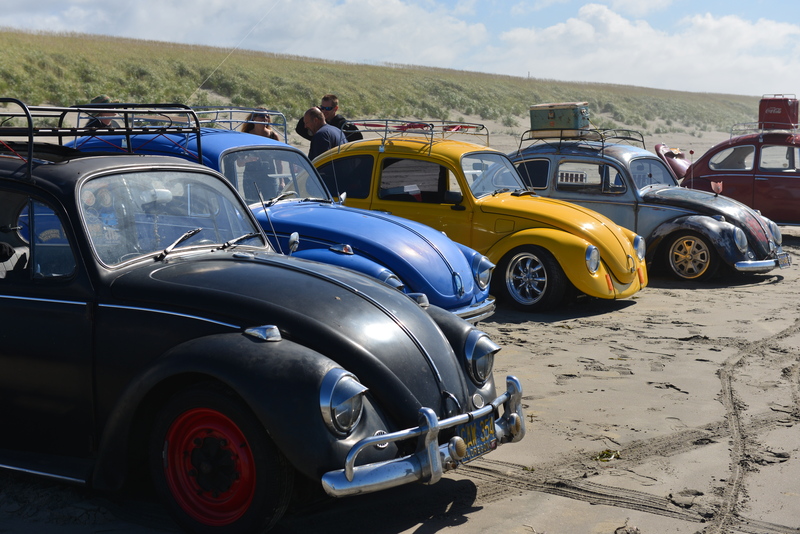 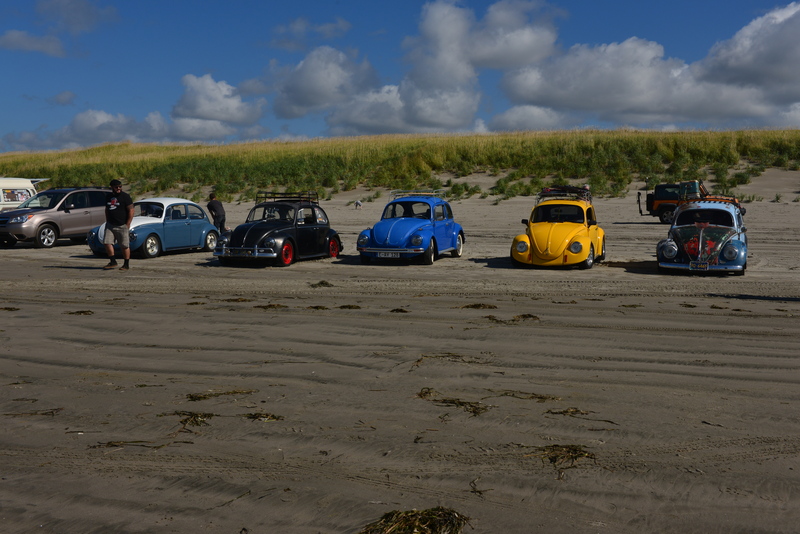 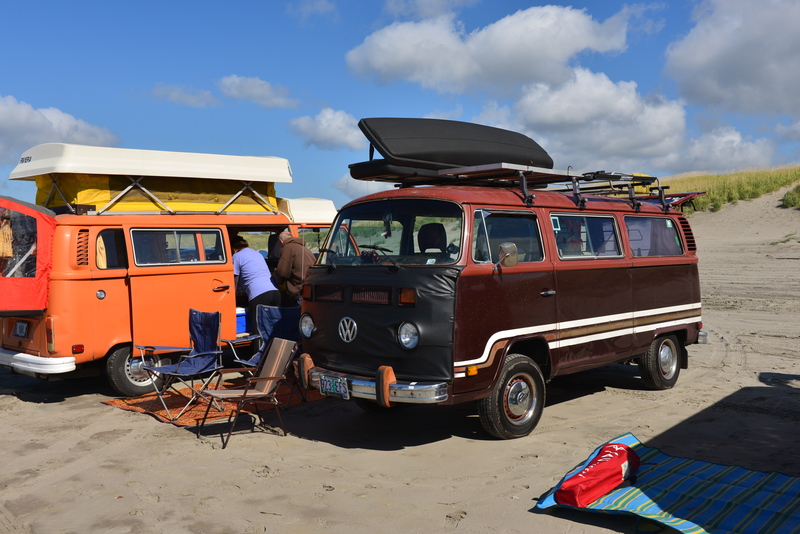 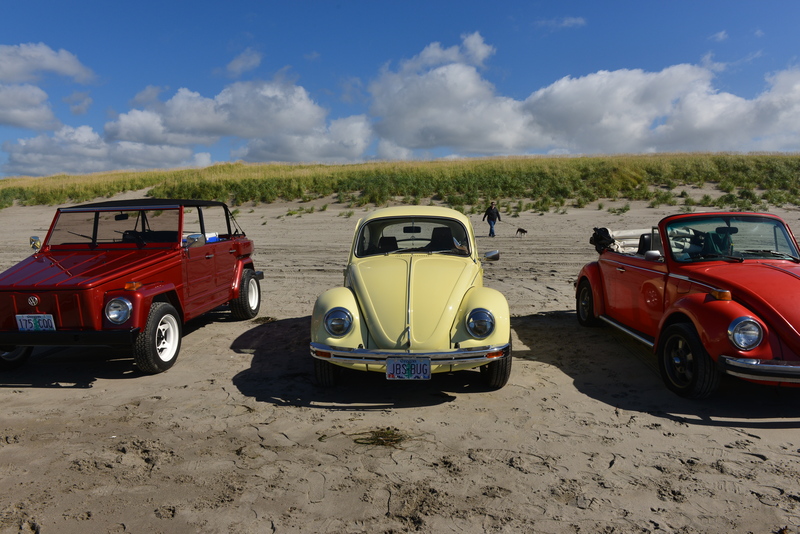 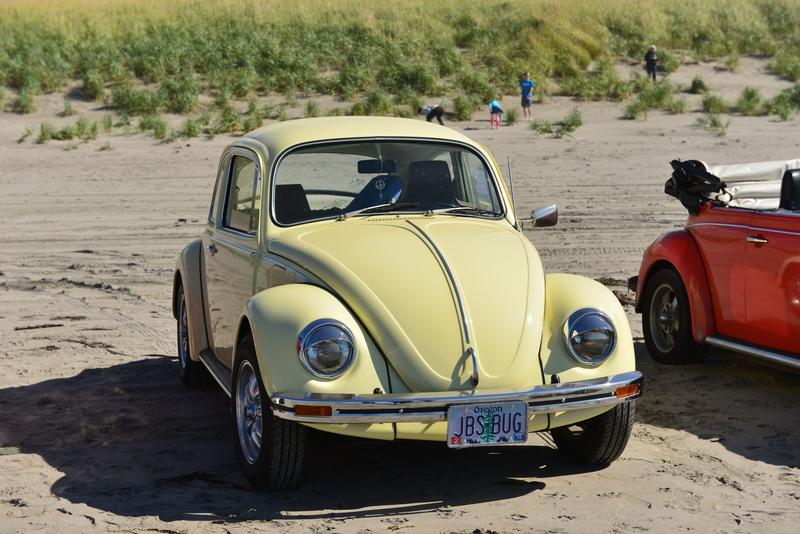 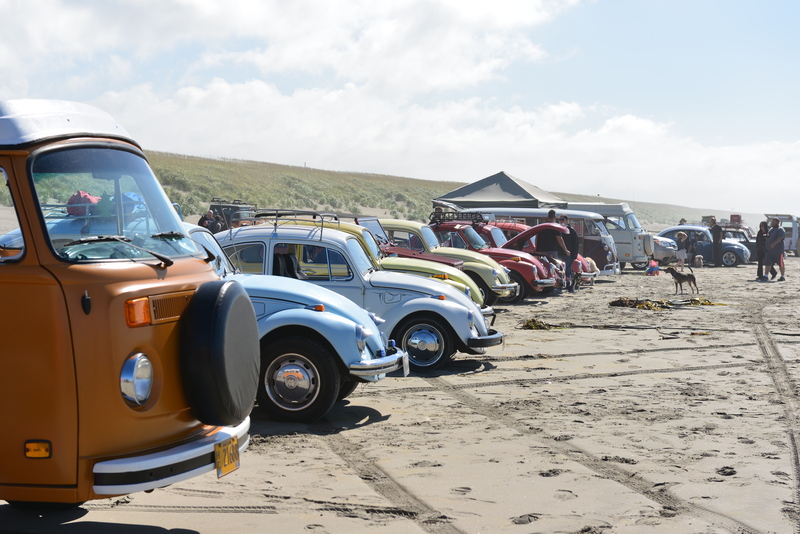 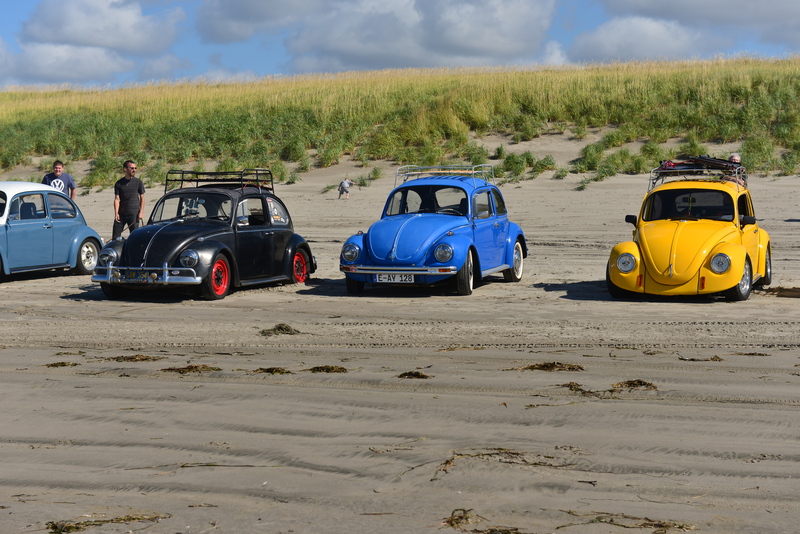 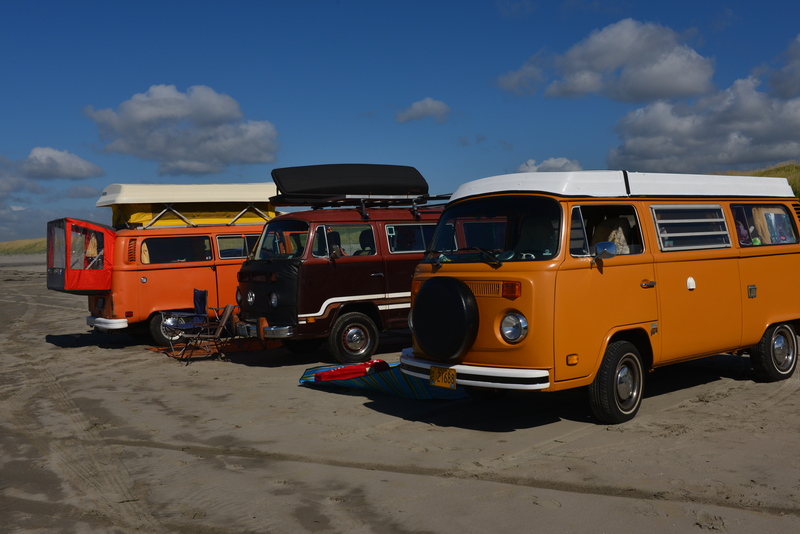 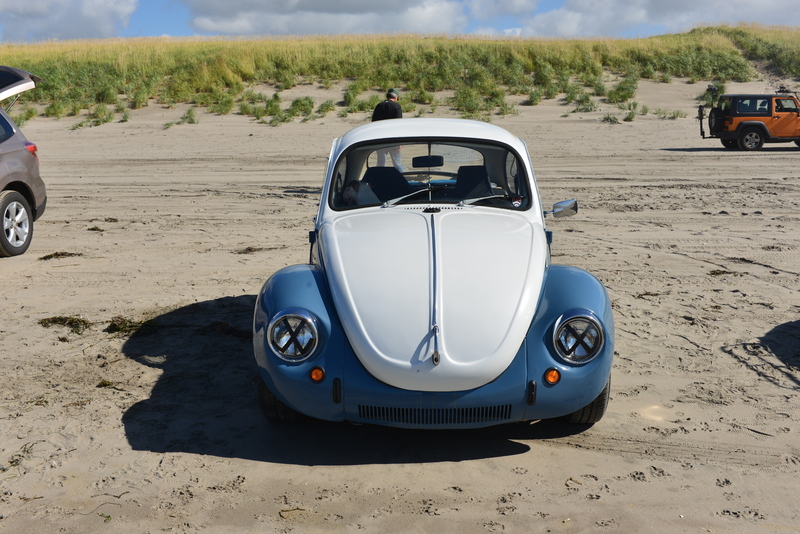 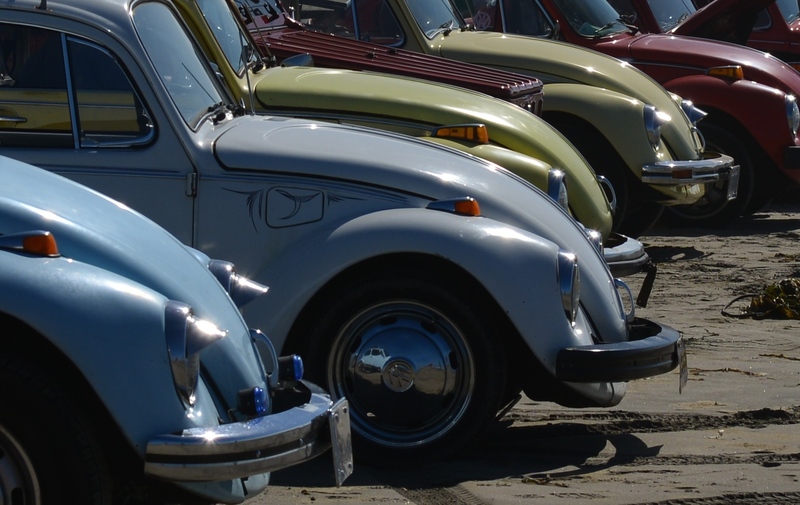 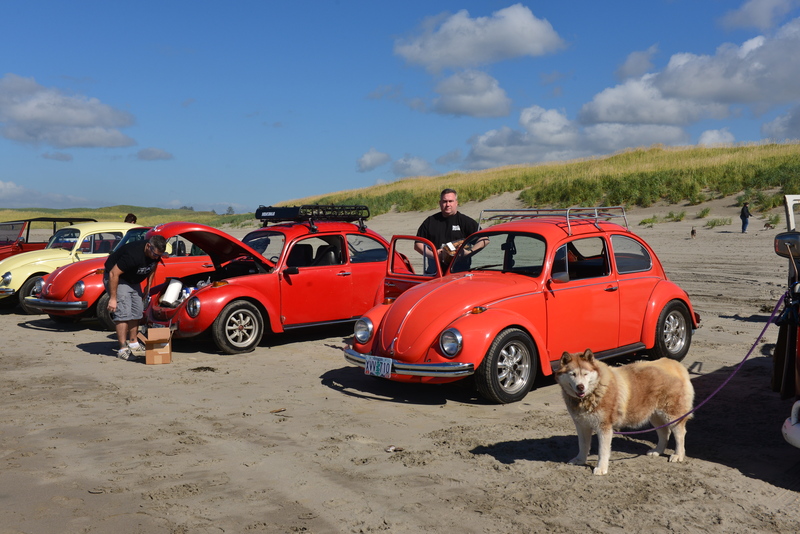 After cleanup, we witnessed an invasion of VWs visiting from Portland – the Rose City Volkwagoners. 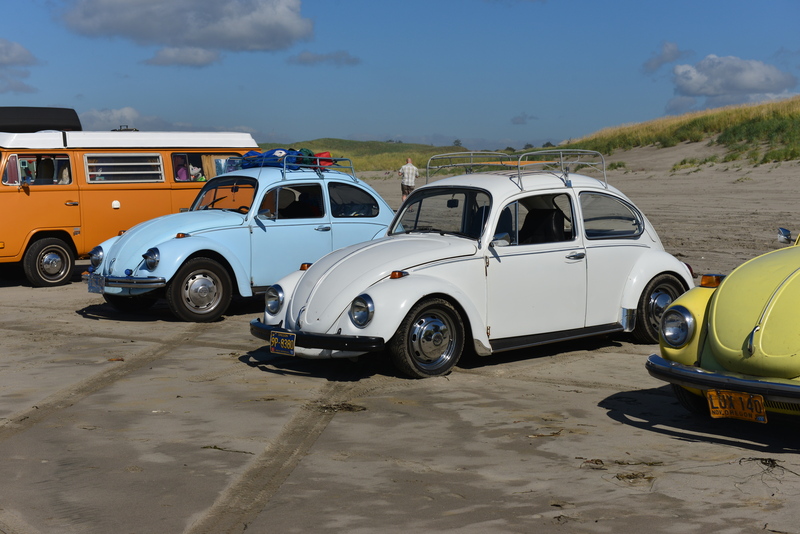 These cars were great and brought back memories for both of us.